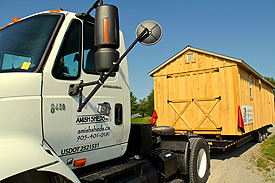 Site Access & Delivery Information - Amish Sheds Inc. Ideal access would allow us to back up to the shed location and unload from there. 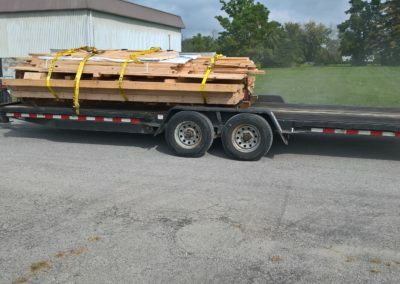 Due to the large size of the truck and trailer, adequate room is required to maneuver the vehicle around. 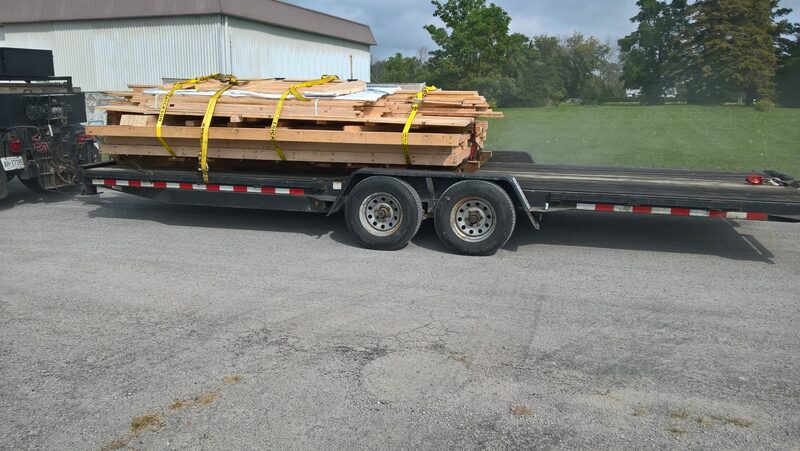 Depending on the size of the shed, they can be maneuvered into location by hand with use of winches and timbers, ideally in more difficult deliveries, equipment such as skid steers can be used. 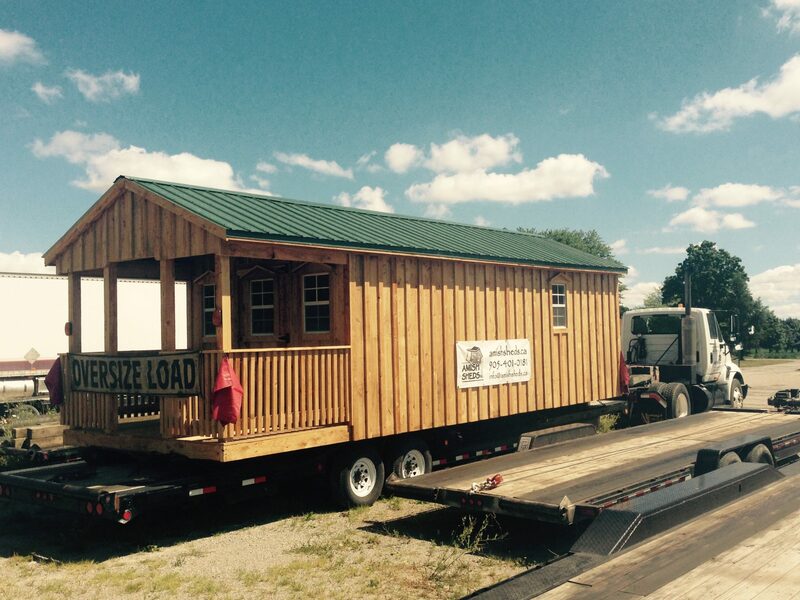 In other cases, cranes can be used to lift the Amish Shed over a building or trees, see video below. 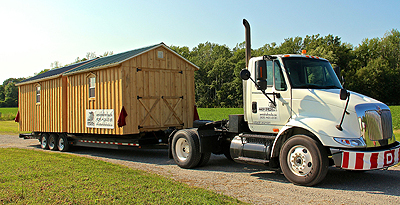 With our Amish Shed Kits, if truck access is not an option you can order a kit and assemble it wherever you wish. Please send in a completed Shed Build & Property Layout Form when requesting an estimate. FREE Delivery in the Niagara Region. The average delivery date is approximately 2 – 4 weeks from time of order, depending on time of year. Delivery Fee outside Niagara Region is $2/km (plus any tolls or fees) from 2880 HWY 20, Thorold, ON, to your final destination.